In this week’s episode I explain a framework for understanding what it takes to launch and grow a brand on Amazon. This episode pairs well with Episode 014: The Magic Formula to Rank at the Top of Amazon Search Results, so be sure to listen to that one also. 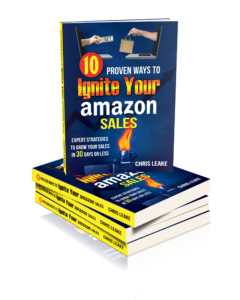 It’s critical to get everything in order before you start driving traffic to your products on Amazon. If you spend energy and money sending customers to your listings before these steps are completed, you’re just pouring water in a leaky bucket. Register your brand through Amazon’s Brand Registry. Properly organize your catalog. Make sure you have no duplicate product listings, and correctly nest products with variants. Create awesome product detail pages with excellent images, written copy, and Enhanced Brand Content. Take measures to prevent MAP violations and unauthorized sellers. Now that you have no leaks in your bucket, it’s time to start driving traffic to your product detail pages! You must drive traffic and sales in order to demonstrate to Amazon that your products deserve to be ranked high in organic search results. Proactively driving as many sales as possible in an 8-day period is essential for gaining traction. Once you’ve had a successful launch, it’s time to increase the capacity of your bucket by optimizing, increasing sales, and protecting the ground you’ve already taken. Make sure to subscribe to the podcast so you never miss an episode!